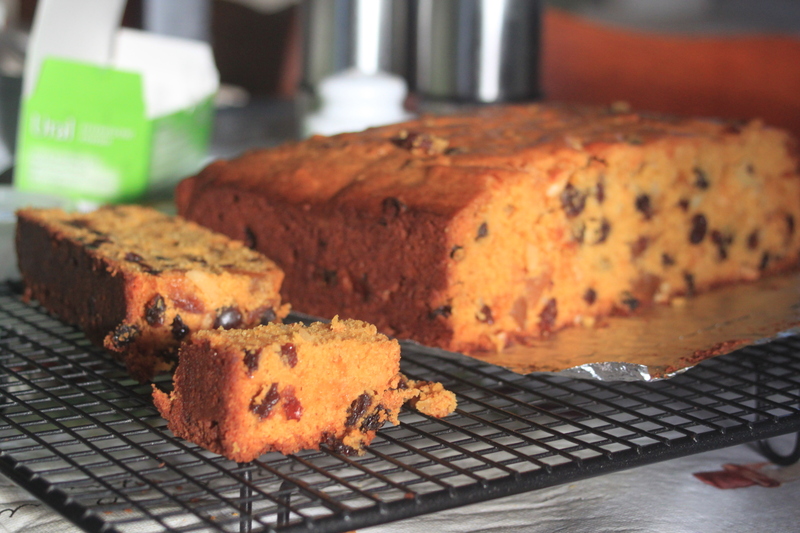 Ma’s famous Pumpkin Fruit Cake. Any funeral, birthday or special occasion would see this cake made. I f it was for Christmas, the plonk would be added along with some glace fruit… anything to tizzy it up. Always yum and always very popular. Now Ma, being Ma never was one for exact measurements… so here is how I make it nowadays. Cream butter and sugar till light and fluffy, add vanilla, syrup, pumpkin and eggs stirring well after each addition. Add flour and fruit and stir until well combined. Place in square fruit cake tin lined with foil (21cm approx) and bake in moderate oven for about 45 minutes. If the top starts to brown too much cover with a piece of foil. When I make it, I like to add almonds and some ginger and figs. Thank god Ma’s pumpkin fruitcake recipe won’t die with her!! It’s the only fruitcake I eat!!! Wow! Yummy cakes. I love pumpkin fruit cakes. I tried it at my home.Thnx for posting the recipe of pumpkin fruit cakes.